The Woodbury Lions Club is sponsoring a blood drive today at the Lions Memorial Building located off West Lehman St. today until 6 p.m. 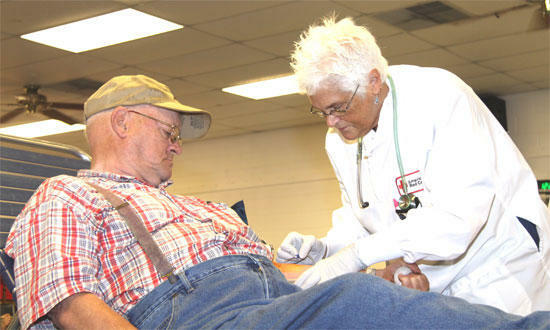 Above, Teddy Powers of Auburntown watches as Red Cross Collections Technician Stina Fitch inserts the needle into his arm. It is the 73rd time Powers has donated blood.